One of the pillars of the “Downtown Cool” places to shop in Charleston is The Purple Moon. Chuck and Connie Hamsher’s store is filled with Mid-century art, furniture, decor and design delights. 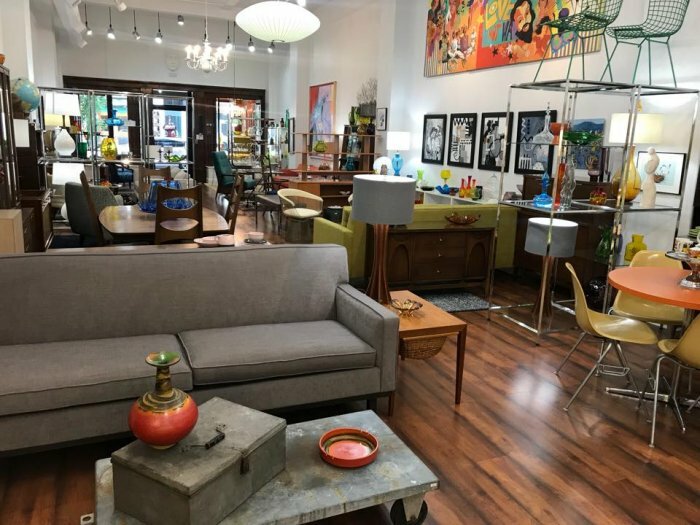 West Virginia’s only shop dedicated to vintage mid-century modern and contemporary design, furnishings, accessories, and art. Their store, tucked away at 817 Quarrier Street, right in the heart of downtown Charleston is a treasure trove of atomic age delights. Chuck and Connie Hamsher have created a terrific space where Charlestonians can finally find all that cool retro stuff that we see on the Home & Garden channel when they do a post-modern weekend. 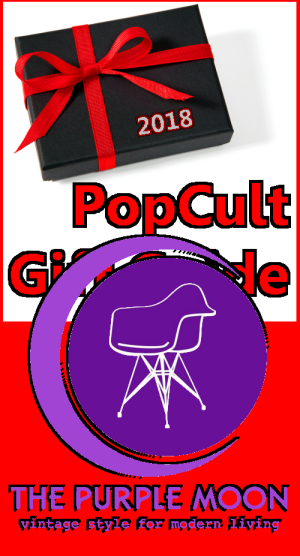 The Purple Moon has been featured in PopCult since our first year blogging, and in that time we’ve seen them move to new locations twice as they expand and improve their mission to preserve the coolest stuff of the past seventy years for our enjoyment and enlightenment. Saturday, December 1, is Chuck’s 60th birthday, and to celebrate there will be hot chocolate and candy canes given out in front of The Purple Moon and Art Emporium, and Santa will be at the Purple Moon to meet kids and help out with The Sonjourners Toy Drive. Charleston is even throwing a parade in Chuck’s honor, although some folks might mistake it for the annual Christmas Parade. Check out the event page HERE. Or course, we’re mentioning The Purple Moon here because you ought to be able to find great gifts for anyone on your list among their offerings. Whether you’re looking for Blenko glassware, small or large pieces of art, furniture or any sort of cool knick-knackery, chances are you’ll find it here. The Purple Moon is open Tuesday through Saturday, from 10 AM to 6 PM (8 PM on Thursdays).